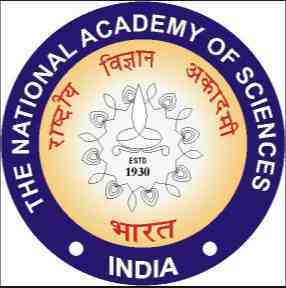 Home > Scholarships > National Level Scientific Writing Contest 2017 - "Technology In Digital Communication"
National Level Scientific Writing Contest 2017 - "Technology in Digital Communication"
National Level Scientific Writing Contest on "Technology in Digital Communication" 2017 is being organised by the national academy of science, India. The contest has been organised in the field of science communication every year. The students of B.Sc. or B. Tech. or M.B.B.S. or B.U.M.S. or B.A.S.M. program are eligible to participate in the contest. Topic for National Level Scientific Writing Contest 2017: This year the contest topic is “Technology in Digital Communication”. Eligible students can participate in the National Level Scientific Writing Contest on "Technology in Digital Communication" 2017 by sending their write-up entries via post till 25 January 2017. Details The candidates want to participate in the National Level Scientific Writing Contest must be an Indian student and studying in B.Sc or B. Tech or MBBS or BUMS or BASM program in any Indian recognised university, college or institute. Top 3 contestants will be selected for award; they will be given cash prize on National Science Day which will be held on 28 February 2017. Top 5 participants will be awarded participation certificates on the National Science Day. The National Level Scientific Writing Contest conducting body will also bear the travel expenses (second class train fare) of the top 5 five participants for "On the Spot Contest” which will be held on 27 February 2017. The conducting body will also be responsible for the modest arrangement of their stay at Allahabad during 27 to 28 February 2017. The students can participate in the contest by sending their entry which must be written on the topic "Technology in Digital Communication". To participate in the contest, the candidates have to follow the instruction given below. The participants must write the essay on the topic "Technology in Digital Communication" and it should be typed with double space on A4 size paper. The write-up should be in English or in Hindi language and it should be minimum 3000 words. The writing must be grammatical error free. The participants should also write an abstract of 150 words in the beginning of the write-up and they should also give the references at the end of the text, it would not be counted in 3000 words. First, top 5 best Scientific Write-ups will be selected from all the entries received by the contest organised for a contest named "On the Spot Contest” which will be held on 27 February 2017 in Allahabad.